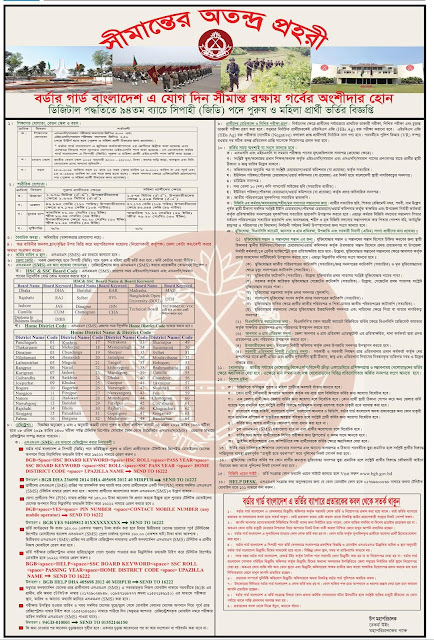 Border Guard Bangladesh recently issued notification for the recruitment of indefinite number of manpower in one post. You can join subject to the eligibility of the post in accordance with the notice. You must apply for the post from 4-04-2019. The application can be upto 8-04-2019. The applicant's eligibility, experience and age conditions can be found in the following notices. Candidate should be between 18 to 23 years of age on 15-09-2019. Interested candidates will be able to fill up the application through SMS and submit it till 8-04-2019.